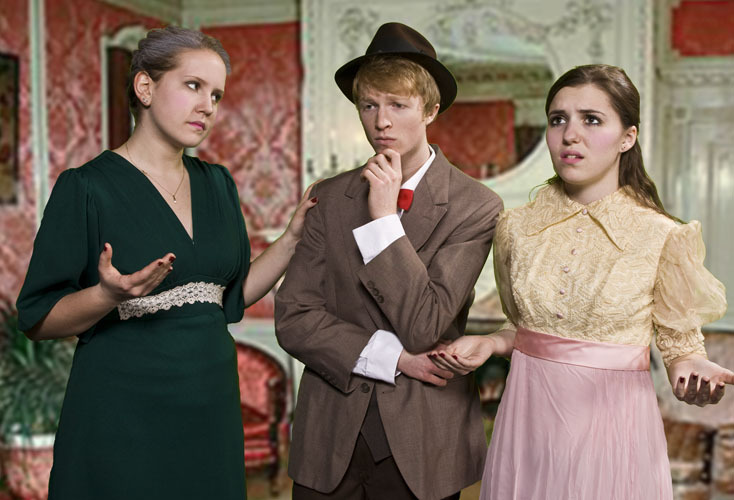 A group of student actors, who have apparently been abandoned by their drama teacher, have to fend for themselves opening night in front of a live audience. 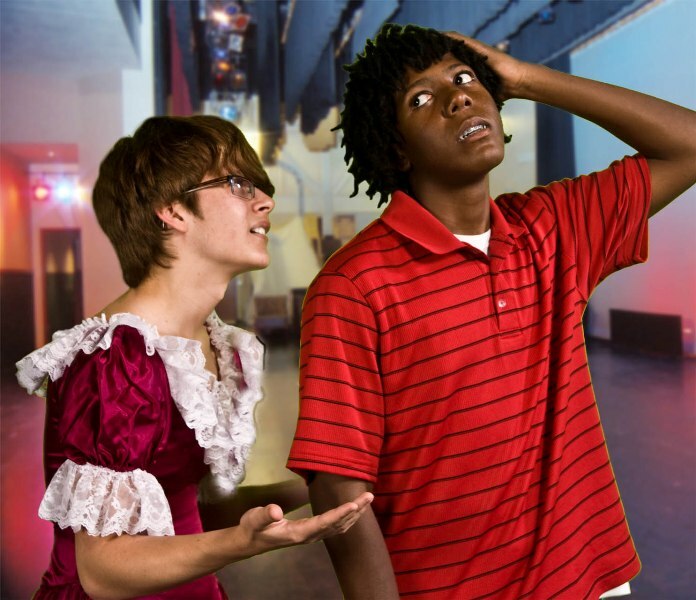 Their teacher has left them hanging because no one has been showing up to the rehearsals and no one is really quite sure what they are supposed to do. The stage manager (Lisa Arndt) student assistant director (William Greenlaw) step in to take charge with the inevitable conflicts that insue. The students find a box of scripts which they pass out to the cast, and try to throw something together. The actor playing Romeo (Conrad Navarrow) appears in the wrong costume further frustrating the student assistant director. 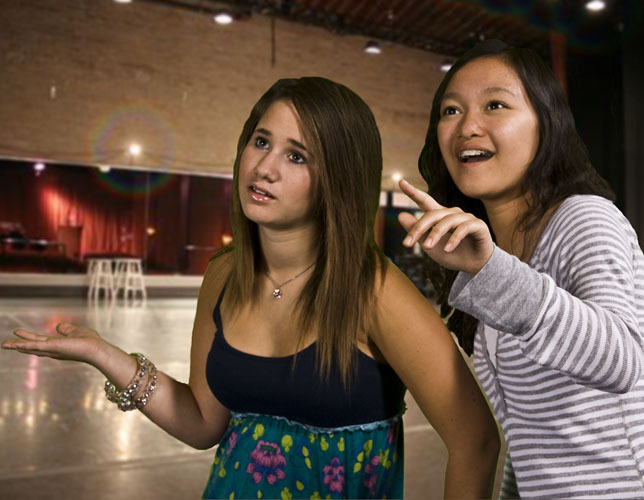 Meanwhile, the actress playing Juliet (Erica Tritsch) is rehearsing her role aided by fellow thespian Tracy (Bethany Pastrama). What follows is a rollicking show full of physical comedy, gags, and satirical re-writings of many plays from Shakespeare to Albee. 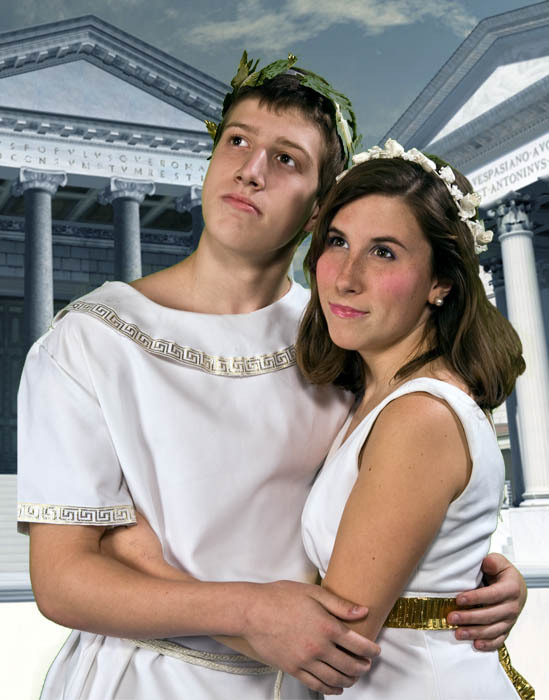 Just Another High School Play will run Wednesday & Thursday, September 24 & 25 at 7pm in the Munster Auditorium. Tickets are $5 at the door are available at the Auditorium Box Office on performance nights or by calling: (219) 836-3200 x3245 or my email MunAud Box Office. 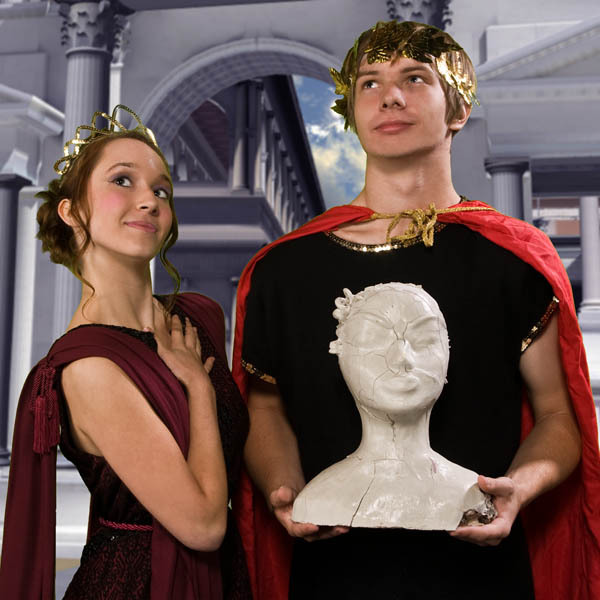 Forum is styled as a very audience aware and interactive show. 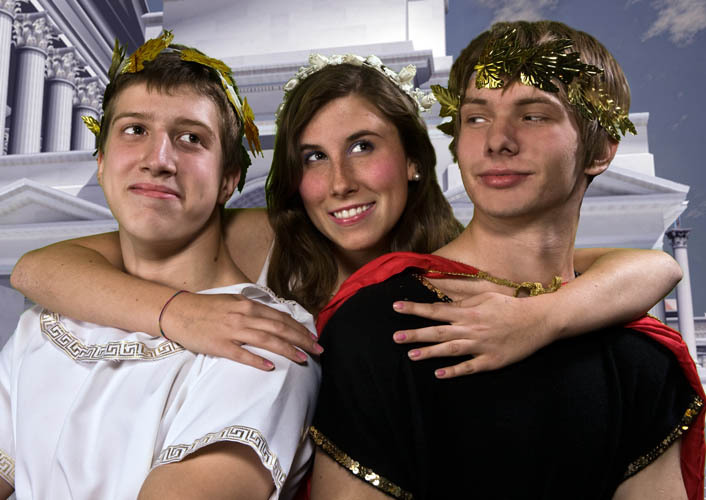 Set in about 200 BC in Rome, it is a farce; low comedy centered around three houses. 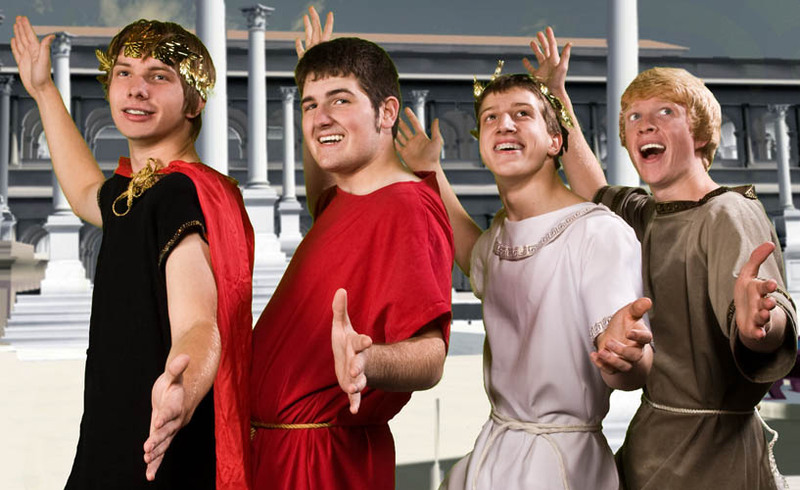 The House of Senex, where most of the action takes place and where Senex (Chris Yothment), his wife Domina (Alexa Johnson), their son Hero (Nick Estes), his slave Pseudolus (Jonathan Wachala), and the Slave-in-Chief Hysterium (Clarke Remmers) all live. The Story begins with Senex and Domina leaving on a trip, trusting the household to the slaves. The next house is that of Marcus Lycus, a seller of courtesans (female slave wives). Hero falls in love with a virgin courtesan, Philia (Hannah Kurowski)who has been sold to a Roman Captain by Marcus Lycus. Hero sends Pseudolus to get Philia and will free him if succeeds. 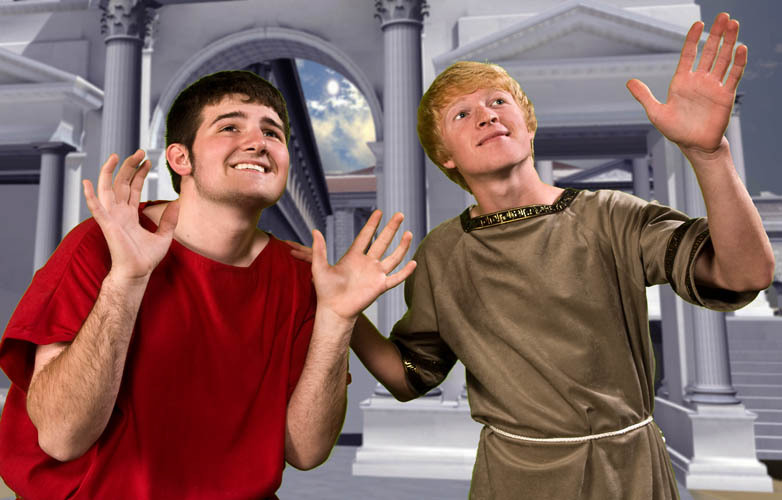 Pseudolus pretends to have his freedom and in the market to buy a wife from Marcus Lycus (Hunter Muckel). He cons him into believing Philia has the Plague, and he lets her stay Senex's house. Pseudolus describes how the two lovers will run off and paints an imaginary "Pretty Little Picture" for Hero and Philia. Senex unexpectedly returns without his wife and finds Philia in the house. He is told she is the new maid, and prepares to “frolic” with her, but first decides to bathe in the vacant House of Erronius, who is gone searching for his lost twin children stolen in infancy. "Everybody Ought to have a Maid" musically contemplates the benefits of having a lovely young maid in the household. 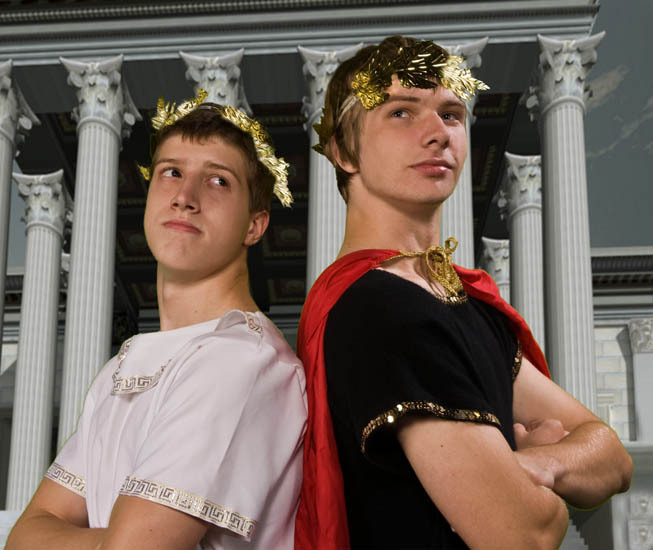 Hysterium is urged by Pseudolus to remain calm. Erroninus (Ryan Pohrte) also unexpectedly returns. Hearing noise from his house (Senex bathing), Pseduolus, pretending to be a Soothsayer, says evil spirits haunt his house and he must run seven times around the seven hills of Rome to rid his house of spirits. Senex and his son Hero both regard Philia and notice each other's interest in the new household addition. Each weigh the possibilities of the other as a rival suitor for Philia. Miles Gloriosus (David Blumberg) cones to claim his bride, Philia, and Pseudolus, posing as Lycus, tells the Miles the she has died. Philia meantime has disappeared with Hero, so Pseudolus dresses Hysterium up as a girl to convince Miles that his bride is in fact dead. Also, Domina has returned home in disguise to check-up on Senex. 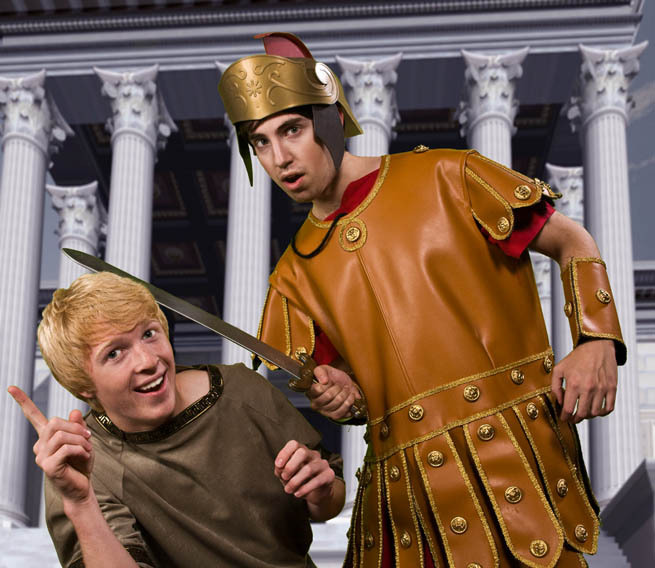 Hysterium is discovered as a fake and a slap-stick comedy chase occurs. The real Lycus appears with Philia, Pseudolus is about to be executed when he offers to take his own life, but drinks a love potion instead of poison. Erronius returns and it is discovered that Philia and Miles are his long lost children; brother and sister! Hero and Philia can be together, Senex remains with Domina, Miles get the Twins and the soldiers get the girls. 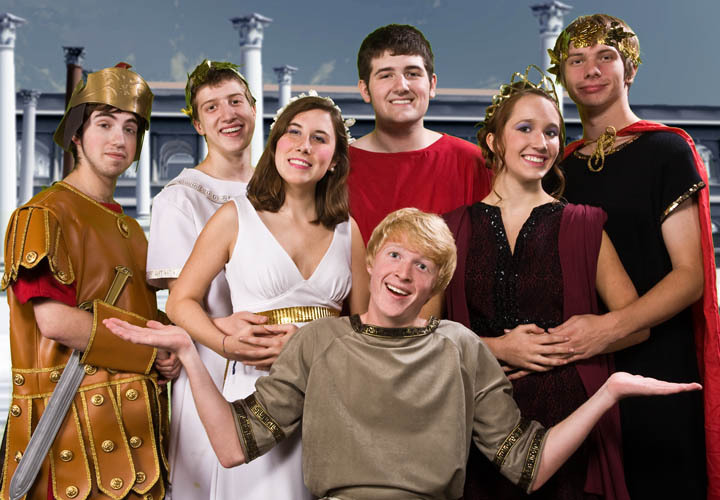 Marcus is arrested for selling freeborn citizens, Hysterium gets peace and calm, and Pseudolus gets his freedom in the finale. 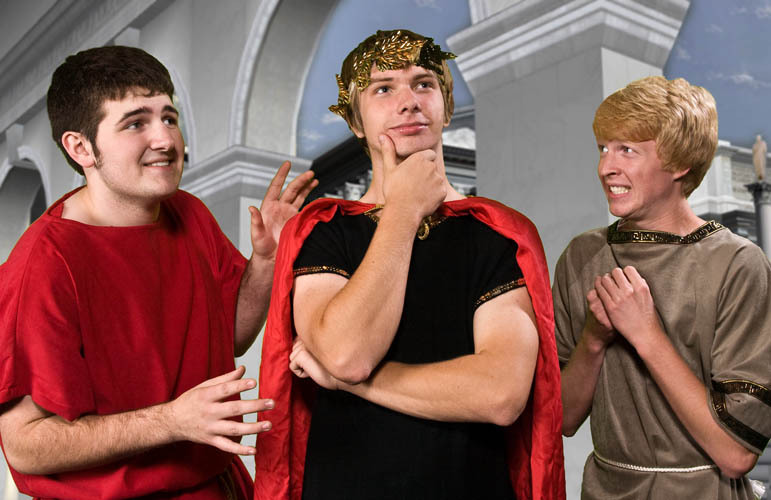 The Munster Theatre Company musical production of, A Funny Thing Happen on the Way to the Forum will feature an ensemble of cast MTC veterans and newcomers in its version. 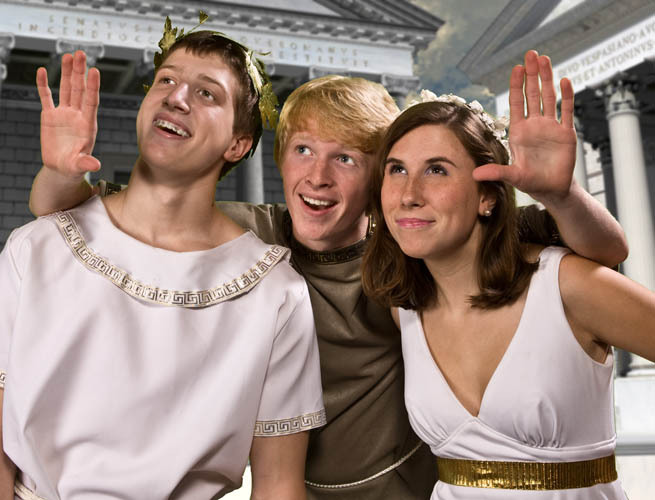 Featuring the quick-witted, slapstick humor of Larry Gelbart and songs by Stephen Sondheim, A Funny Thing Happen on the Way to the Forum will enchant audiences. 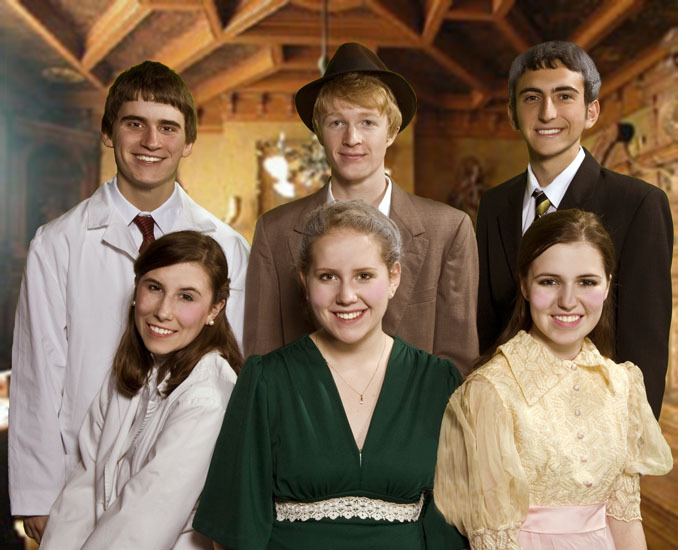 It run Thursday, November 19; Friday, November 20; Saturday, November 21 at 7pm, and Sunday, November 22 at 2pm in Munster Auditorium. Adult tickets are $7 (senior and student tickets $5). Tickets are available at the Auditorium Box Office on performance nights or in advance by calling: (219) 836-3200 x3245, by email at MunAud Box Office. 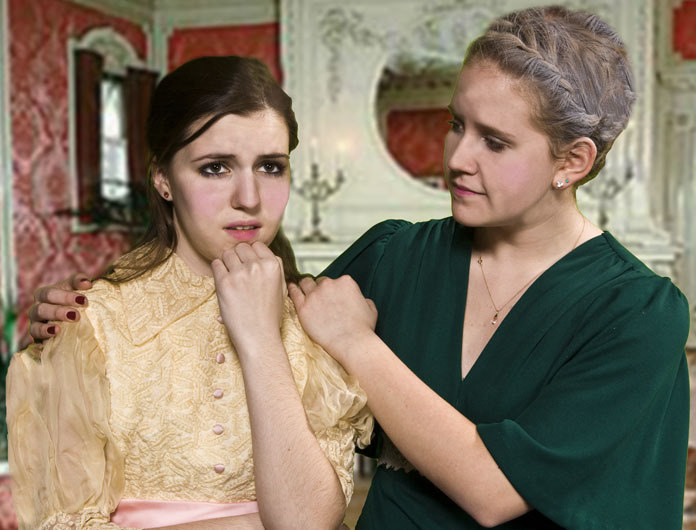 The Munster Theatre Company of Munster High School is pleased to present its winter production, of the touching Mary Chase play, HARVEY. Produced by Dr. Larry A Brechner, this full-length, student-directed production will feature the solo directing debut of Clarke Remmers assisted by Alexa Johnson. 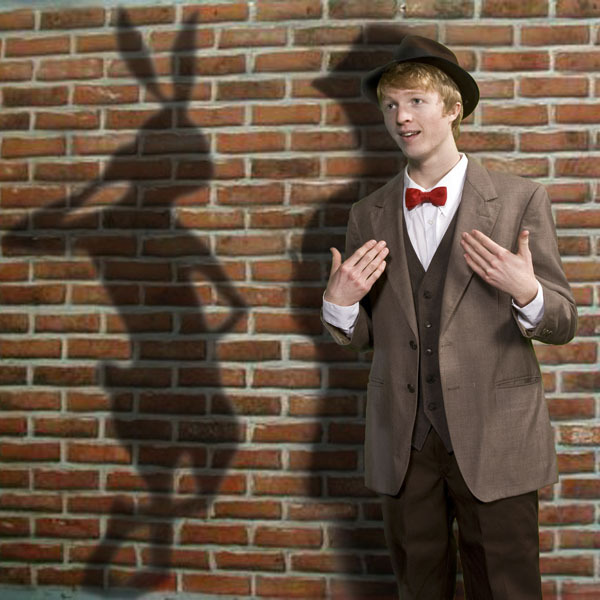 Mild-mannered Elwood P. Dowd (Jonathan Wachala) starts to introduce his imaginary friend, Harvey, a six-and-a-half-foot rabbit, to guests at a society party. Elwood's sister, Veta (Emma Grdina), has seen as much of his eccentric behavior as she can tolerate. She decides to have him committed to a sanitarium. Veta hopes to spare her daughter, Myrtle Mae (Natalie Vick), and their family from future embarrassment. 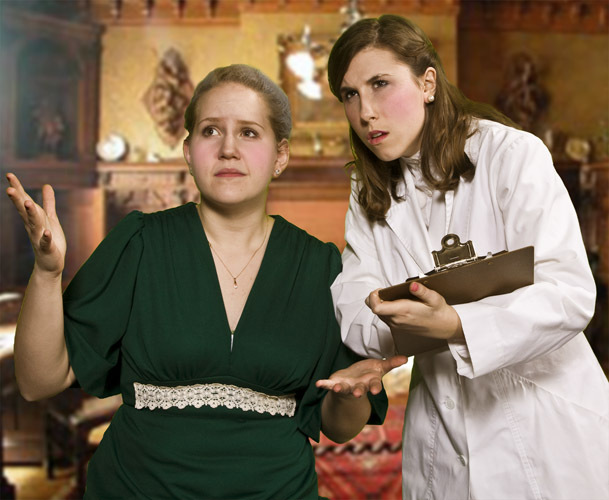 The doctors commit Veta instead of Elwood, as Veta explains her dilemma to sanitarium nurse Ruth Kelly (Hannah Kurowski). 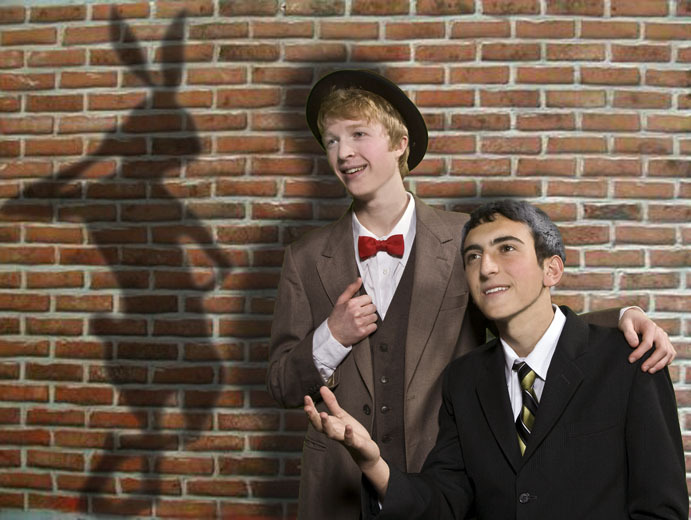 But when the truth comes out, the search is on for Elwood and his invisible companion. 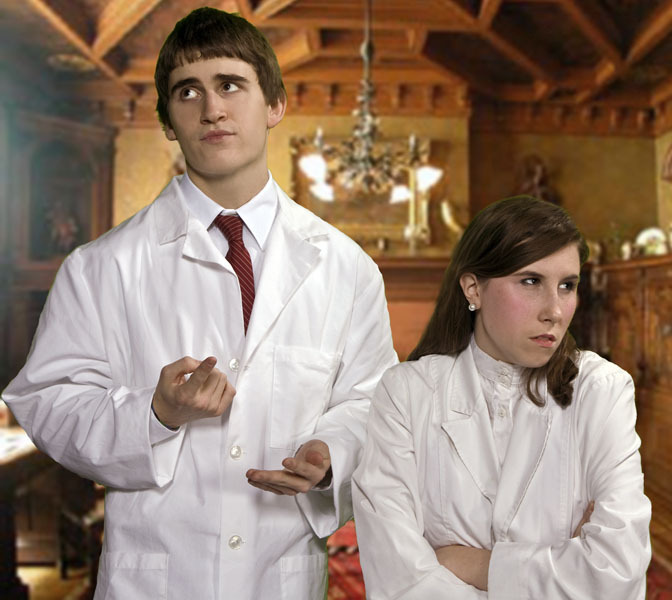 Meanwhile, Dr. Sanderson and Nurse Ruth Kelly are at odds over their new charge. When Elwood shows up at the sanitarium looking for his lost friend Harvey, it seems that the mild-mannered Elwood's delusion has had a strange influence on more than one of the doctor's especially Sanitarium head, Dr. Chumley (Ben Goldenberg). the 50's Rock n' Roll Musical, GREASE. Jelena Grozdanich as Student Choreographer; and Alexa Johnson as Student Director. 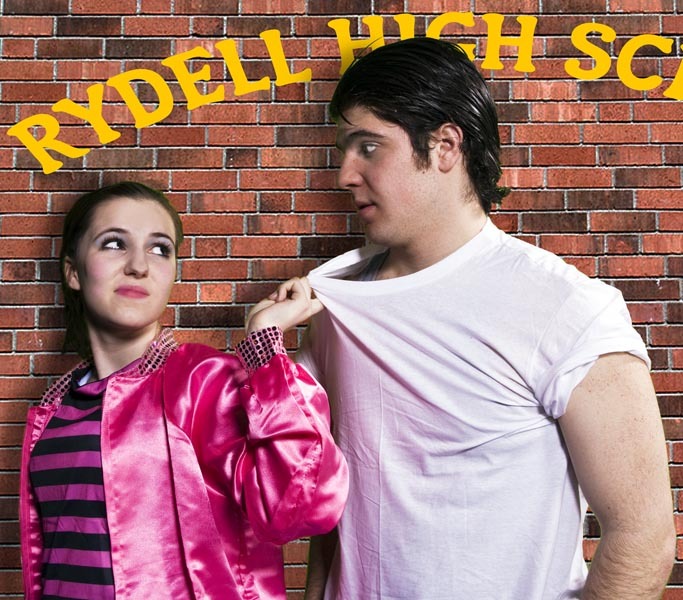 It is 1959 and Rydell High is filled with rebellious, thrill-loving students. In the midst of this scene, Sandy Dumbrowski (Natalie Vick) enters as the new girl in school. 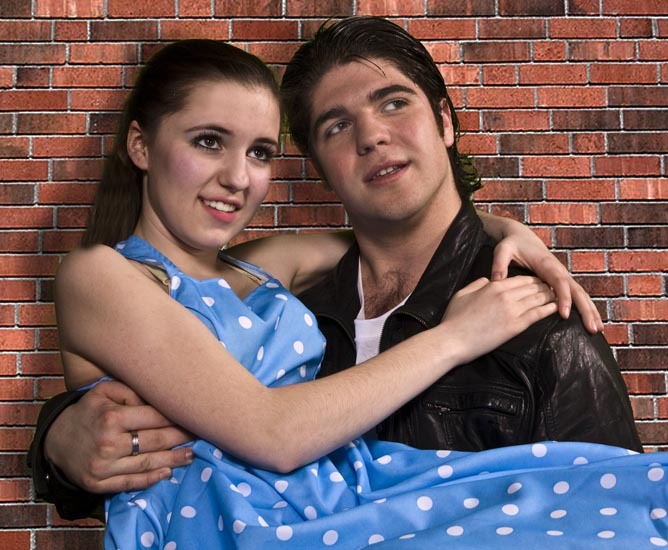 It turns out that she and the leader of the T-Birds, Danny Zuko (Hunter Muckel), have had a brief summer romance. 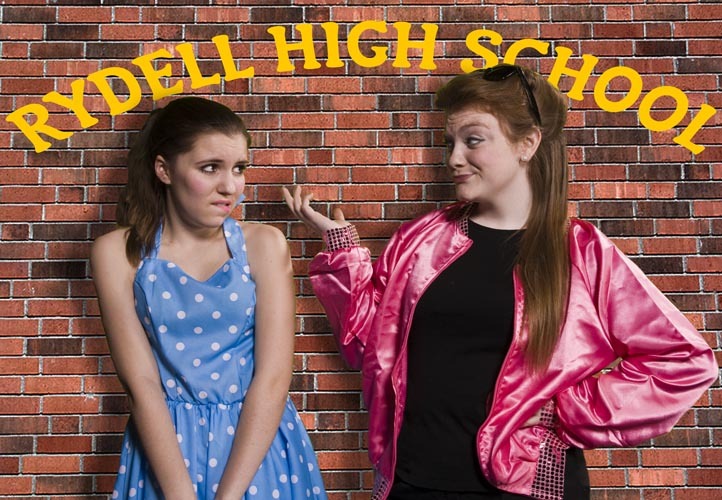 Rizzo (Katie Taylor) the street-wise leader of the Pink Ladies is skeptical of the new girl. At Marty’s (Gabbi Rapin) pajama party she reveals her love “Freddy My Love” while Rizzo, Sandy, Jan (Camille Burger) and Frenchy (Emma Grdina) join in. 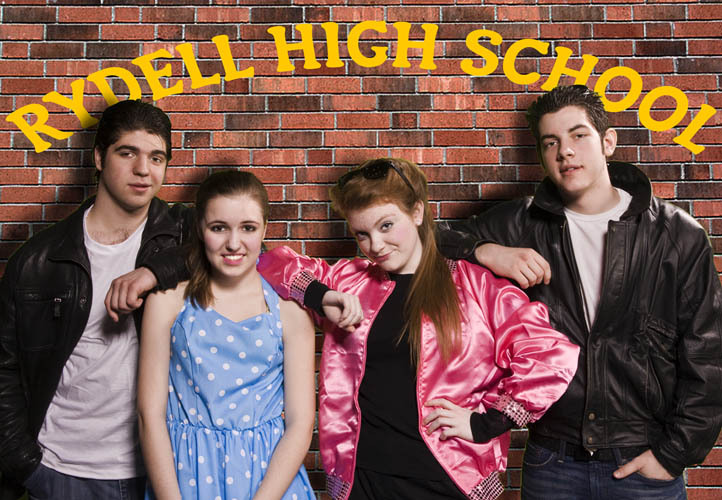 Meanwhile Kenickie (Tony Campana) with the other guys Doody (Michael Peters), Roger (Clarke Remmers), Sonny (Chris Yothment) and Danny, sing about the dream hot rod, “Greased Lightning.” He takes Rizzo for a secluded drive in his new car. 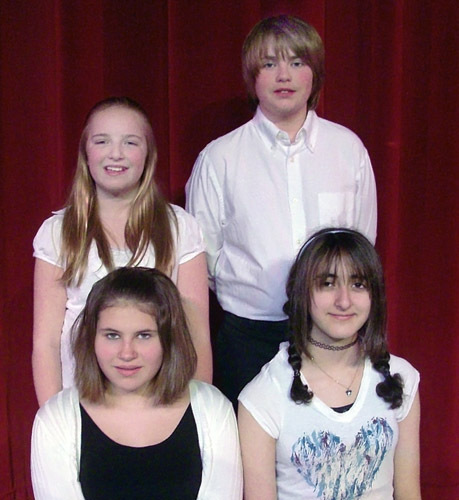 Jelena Grozdanich as Patty; Teddy Niemiec as Vince; and Christian Fary as Teen Angel. 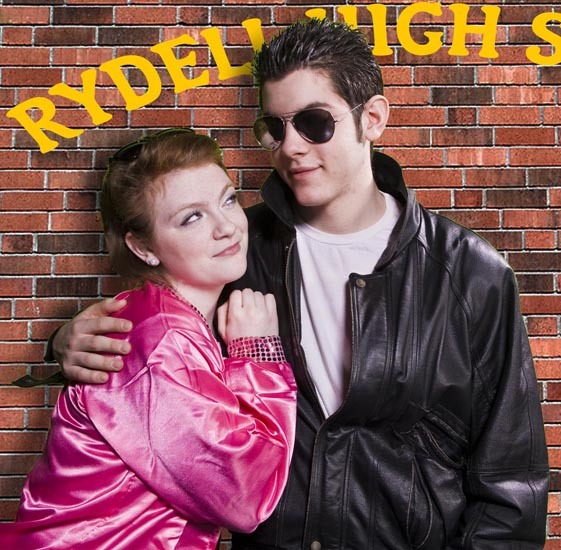 GREASE will run Thursday, April 22; Friday, April 23; Saturday, April 24 at 7pm, and Sunday, April 25 at 2pm in Munster Auditorium. Tickets are $7 at the door (senior and student tickets $5). Tickets are available at the Auditorium Box Office on performance nights or in advance by calling: (219) 836-3200 x3245, by email at apkinser@munaud.org. 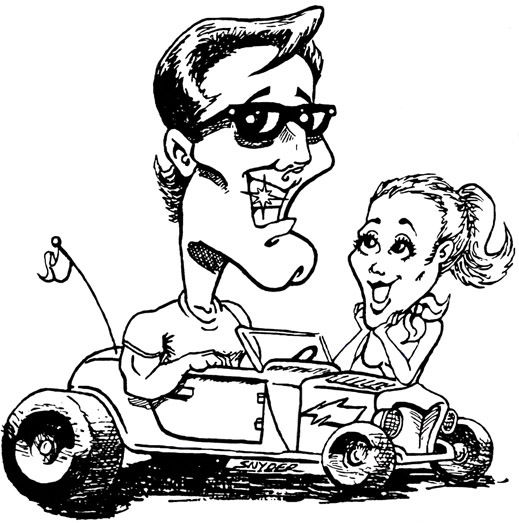 GREASE will run Thursday, April 22; Friday, April 23; Saturday, April 24 at 7pm, and Sunday, April 25 at 2pm in Munster Auditorium. Tickets are $7 (senior and student tickets are $5). Tickets are available at the Auditorium Box Office on performance nights or in advance by calling: (219) 836-3200 x3245, by email at MunAud Box Office.